I’m what they call 3G, or third generation Holocaust survivor. I realized this evening that, my daughters, are 4G. The fourth generation. In my mind, the fourth generation will not bear the same burdens as the third. And that is a tremendous blessing. Being a 3G, I often times feel like a complete freak. I exhibit “Holocaust like” behavior that therapists would have a field day with, and I very often struggle to keep the paranoia and fears at bay. I’m also very unique in that my Holocaust survivor Grandmother helped raise me from the age of five. At the time, my Mother had to return to work to help support our family, and so my Grandmother quit her job as a seamstress in the garment district of Manhattan, to care for us. Until I moved out of the house at the age of 20, I saw and interacted with my Grandmother every single day. As a child, she roused me in the morning from sleep and got me dressed for school, tried to force feed me oatmeal or cereal, and either walked me up the block or waved from the door as I got on to the bus that took me to High School. She usually greeted us when we got home from school, put supper that she cooked on the table, and said good night and went home once my Mother arrived from work. She imparted wisdom in her thick, Polish accent, marveled over any of our achievements, taught us how to make the beds or fold the laundry, and hung onto our every words whenever we gave a Dvar Torah at the table. My siblings and I, her only Grandchildren, are the very reason she survived the hell she went through during the Holocaust. And through sheer will power and strength that I do not possess, but admire in awe, she survived so that my family could live. The Holocaust was this huge presence in our home, almost like a permanent grey cloud that hung heavily over our heads. I remember the jealousy I felt over Jewish holidays, as my friends would talk about all of their cousins and Aunt’s and Uncle’s and how many people could fit around their dinner tables. And, at our holiday tables, it was just my Grandparents, my parents, and my siblings. We were a small, nuclear family. My Grandmother, orphaned at the age of 15. My Grandfather, escaped the Holocaust by joining and fighting with the Jewish Brigade in World War II. Both of their families, almost completely annihilated by Hitler. Sometimes, I would fantasize that my Grandmother’s older brother or her baby sister had survived and were living in South America or Canada, or Australia. And that, one day, through the magic of the Internet, they would find each other and have this great reunion. And that, my 88 year old orphan Grandmother, would realize that she is not alone in this World. But, that is merely a fantasy. The SS and Hitler were methodical, and they were methodical with their record keeping. We know, without a shadow of a doubt, that my Grandmother’s parents and siblings were sent to the gas chambers at Treblinka. Growing up, I used to pray that I would, one day, have a large family. When I started dating, I would ask the guy I was seeing if he came from a large family. One of my dating criteria was that the guy either come from a large family, or really wanted one of his own. Secretly, I had another dating criteria. I wanted to date someone who was a 3G, like me. So that he would understand how obsessed I am about making sure we all have passports, that they are always up to date, that we can literally leave the Country (any Country), at any time, because we have the right papers. When we bought a car on my Olah rights, and they requested to hold my US and Israeli passports overnight, I literally had heart palpitations. I almost didn’t go through with it, because the very thought of being separated from my passports, made me sick to my stomach. And yet, wonderfully, I fell in love with DH. A man who is blessed to have a massive family on BOTH sides. He has oodles of cousins, and more second and third cousins than I could ever imagine. And, while his Grandmother lost a lot of her immediate family during the Holocaust, he was not exposed to it the same way I was. He doesn’t remember ever discussing it with his Grandmother, or having it be this big presence in his life. I was so excited about marrying into this great, big, boisterous family. I couldn’t wait to experience their holidays, to see and experience how a family not exposed to the Holocaust functioned. To be a part of something different, to experience what many of my friends growing up experienced. And, to this day, I cannot fit in. I am a fish out of water in this great big pool that is my husband’s family. I yearn to have Passover Seder with just DH and the girls, as opposed to 25+ people family Seders that consist of both sides of DH’s family. Fortunately, this year we had a very intimate family Seder with DH’s Aunt, Uncle and his two cousins. And, I finally felt at home, comfortable, and myself. I have earned a bad reputation for keeping us at home for Shabbat meals, for isolating us during large family functions. But, truth be told, I just cannot function in that environment. I just don’t belong, being a part of a large, extended family is just too difficult for me to adjust to. And the worst thing is that, aside from DH’s Uncle, no one else gets it. They don’t understand where I’m coming from, how it’s not just that culturally we are different, we are different because I am a 3G and they – blessedly – are not. I hope, one day, they can forgive me for any friction I have caused because of my anxiety about being around the larger family, at big family functions. Truth be told, I yearn for the day when my siblings can join us for holidays and Shabbatot. 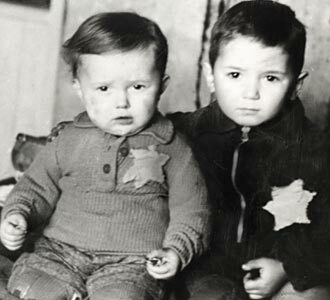 Because they are the only ones who understand how I feel, how I grew up, how much the Holocaust is a part of my life. And, on the flip side, I try so hard not to pass on my issues to the next generation. That my 4G daughters grow up having joyful holiday experiences like DH had, that they only hear about their great-Grandmother’s life experience when they are older and ready to hear about what she went through. That the stories are only told when they are old enough and ready to hear them, and that they are not spoken about at every single Jewish holiday, family function or other social gathering. That they don’t equate Succot with when the family was herded into the ghetto, that they don’t equate Yom Kippur with when the ghetto was liquidated, that they don’t equate Pesach with when the family was sent to the gas chambers. That they don’t have to watch their Grandmother wipe away the tears during the Haggadah or throughout the Rosh Hashanah liturgy. That they never hear the story of how my Grandmother helped her first cousin kill her baby by throwing him into the toilets at their concentration camp. If the baby had been discovered, they would have all been killed. Instead, my wish for my girls is that they can be a part of a large, beautiful, amazing Jewish family and be happy. That they can lose their passport and, without breaking a sweat, simply apply for a new one. That they live life without all of this debilitating fears that threaten to paralyze me, from letting them leave the house, live their lives, experience the World. That they don’t eat food in secret, in the dark, and with fear that there won’t be another plate tomorrow. That they leave food on their plates if they are full, and not feel guilty. They have no idea how hard it is for me to let them go off to gan, get into the car with their Father and leave me home, alone, or to go to friends for a play date. I rely on DH to make sure that they have a normal upbringing, that my fears do not trickle down to them. So far, I think he is doing a great job. I can’t imagine them going over to other people’s houses for a sleep over. Aside from my 5 day hospital stay with DD#2, I just can’t imagine being away from both girls. I don’t know if that’s a Holocaust thing, or simply because I’m a Mother. We say that we should never forget. Intellectually, I believe that statement to be true. Emotionally, sometimes I wish that I could forget. Thank you for writing this piece, I, too, have always felt the same way. My DH is what my 10 year old son and I call “our honorary Jew” and he totally gets my pain of being a 3G, now my sweet son and the only one left of my mom’s side, a 4G. I am also weird about my son going off to play, what if we have that knock on the door? What if he doesn’t come home. My great aunt Hannah was the executive secretary to John Foster Dulles and tried to get my mom’s family toeave Munich and Leipzig with all of her state connections. She was there for the Kristallnacht, still they would not leave, we are Germans. Well, she told us the stories and yes, this has left a strange paranoia, my husband and I believe that a type of Holocaust cou;d happen here in the states. We live in Raleigh, NC biblebelt, who could we trust?